De Villiers played a magnificent knock of 75 off 51 balls to propel RCB's score to a competitive 171/7 in 20 overs vs Mumbai at the Wankhede. IPL 2019, Mumbai Indians vs Royal Challengers Bangalore Match 31: Continuing his red-hot form from the last match, AB de Villiers once again was in the mood as he enthralled the capacity audience present at Wankhede with his breathtaking strokeplay and out-of-the-world shots during match 31 of Indian Premier League (IPL). 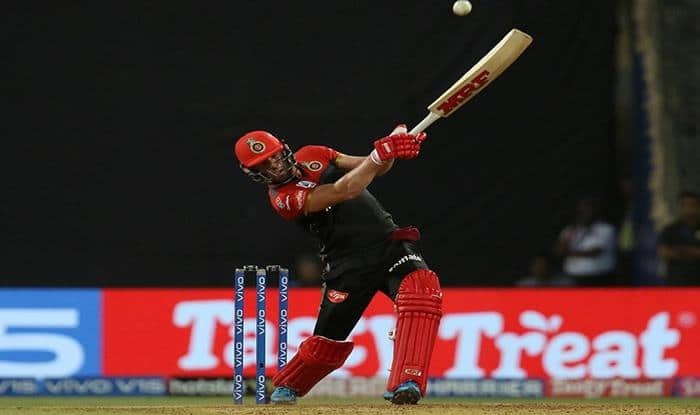 During the match between Mumbai Indians and Royal Challengers Bangalore, de Villiers was in his elements right from the word go as he scored a magnificent 75 to power the visitors to a competitive total of 171/7 in 20 overs.